Working on mobility is just as important as working on strength or keeping our diets in check, especially as we age. After all, what good is being strong and trim if you’re stiff as a board? I’ve tried a lot of different options over the years to help me stay loose, but there are a few tools I keep coming back to. 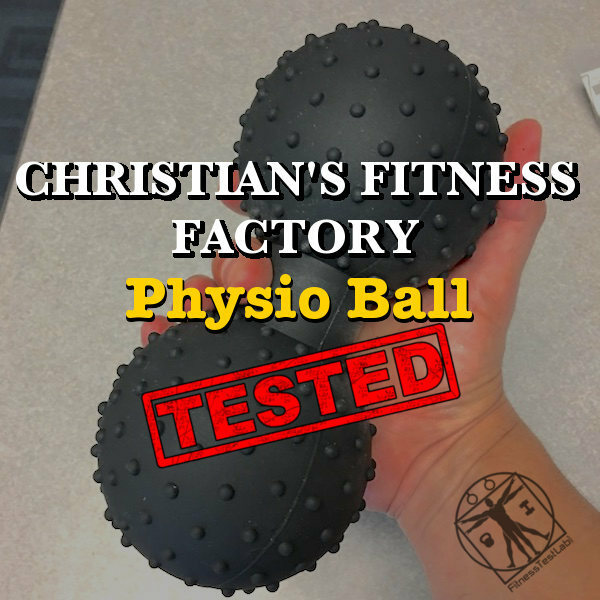 The Physio Ball from Christian's Fitness Factory is one of those tools. What is a Physio Ball? 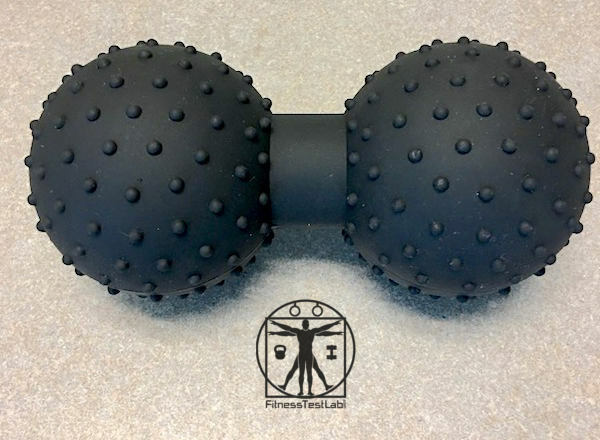 The CFF Physio Ball is basically two rubber balls with nubs, connected by a short rubber stub. The rubber is dense, but with plenty of give to it as you can see below. This thing straight up looks like a medieval torture device. However, don’t let the looks put you off! It actually feels really good on tight tissues. 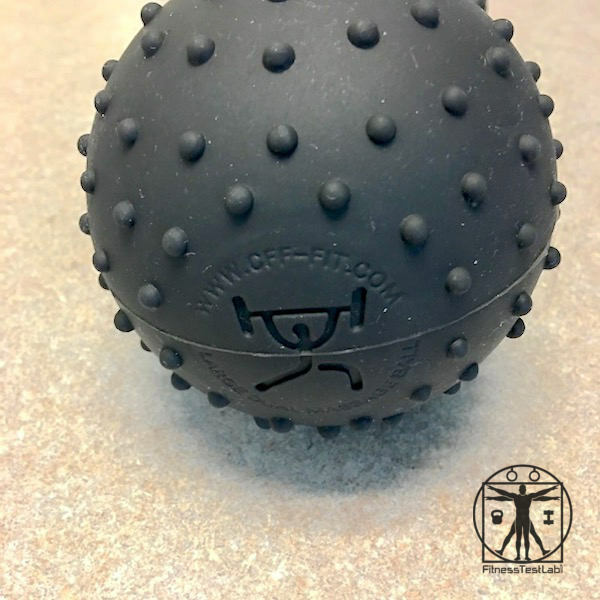 The Physio Ball…torture device or mobility tool? The CFF Physio Ball comes in two sizes, and I have the larger of the two measuring 8″ wide by 3.5″ tall. Foam rollers are popular for tissue release, and I do own one but I don’t really like using it. I’m all about efficiency, and I find a foam roller to be a suboptimal solution for tissue release. 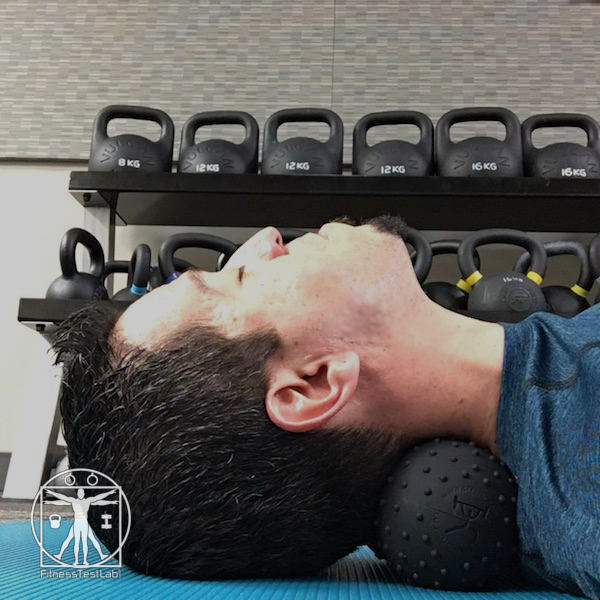 The Physio Ball takes the place of a foam roller in my mobility arsenal and I use it pretty much every way a foam roller can be used, with better results. I work with computers all day, and a tight upper back and shoulders go with the territory. Unlike a foam roller, the Physio Ball is well suited for rolling out the back because no pressure is put on the spine while rolling. You can see how I use it on my back and shoulders in the short video below. How does the Physio Ball work? The nubs on each of the two balls that make up the CFF Physio Ball really help dig in and release stubborn tissues. The dual ball design works better a foam roller because I get more skin contact by rolling my arms and legs between the two sides. One of the more interesting features of the Physio Ball is the ability to heat or cool it for added therapeutic benefit. It can be placed in the microwave on high for up to 2 minutes or placed in the freezer for up to 24 hours. The Physio Ball cannot be heated over 125 degrees. 1:30 in the microwave is the recommended time. Heating it on high for 1:30 leaves the Physio Ball feeling warm, but not hot to the touch. I like heating it and placing it just below my head to relieve tight neck muscles. The CFF Physio Ball is a great addition to your arsenal of mobility tools. It can be used in addition to or in place of a foam roller, with the added benefit of being well suited for rolling out your back without putting pressure on your spine. The Physio Ball can also be heated or cooled, which is a rather unique feature for a tool of this type. It comes in two sizes, and while I haven’t used the smaller one I’m sure it would be just as useful but on a more limited scale. If you want to use the Physio Ball to roll out your back like I do, I recommend using the larger one. Give it a try, I think you’ll like it.